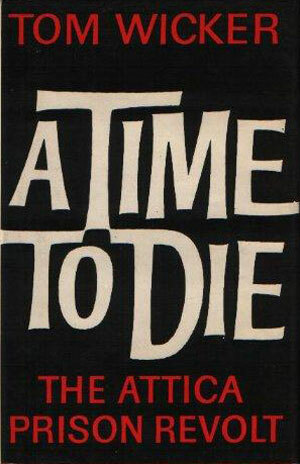 For the next month of so I’m going to focus on the covers of books about U.S. prisons. Something uplifting for the new year! 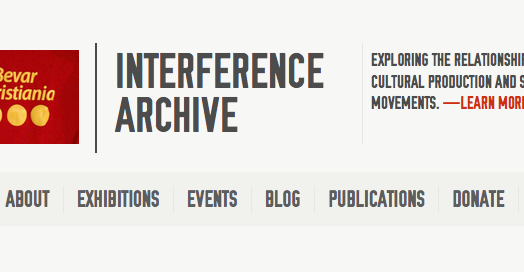 I first became involved in prison-related activism (including support for political prisoners, whose books will also be featured in the upcoming weeks) in the early 1990s, and slowly have amassed a large collection of books and publications on prison issues (in order to keep this manageable, I’ve pretty much stuck to books with spines, leaving out pamphlets, magazines, and chapbooks, as well as keeping it U.S focused). In addition, a couple friends have pretty large collections as well, so I’ve photographed some of theirs (thanks Dan Berger! ), and pulled a select few off the web. 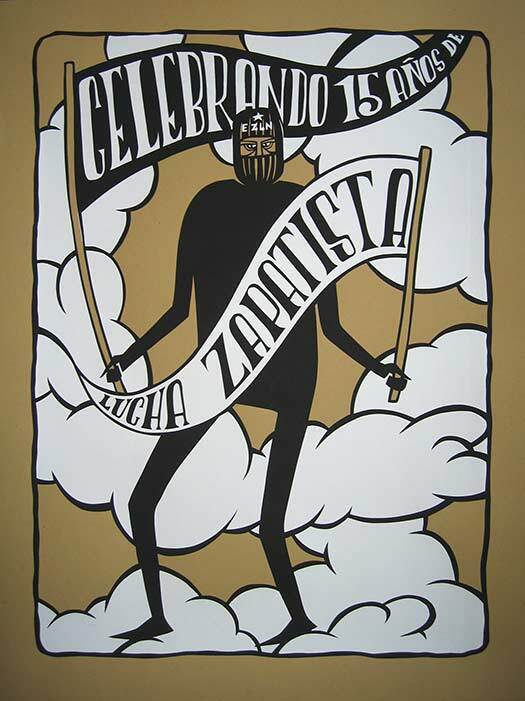 This week we’ll start with prison riots. 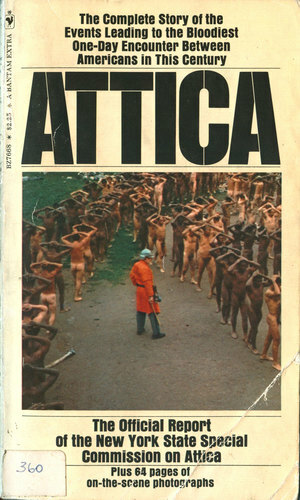 And the daddy of the modern U.S. prison riot, Attica. 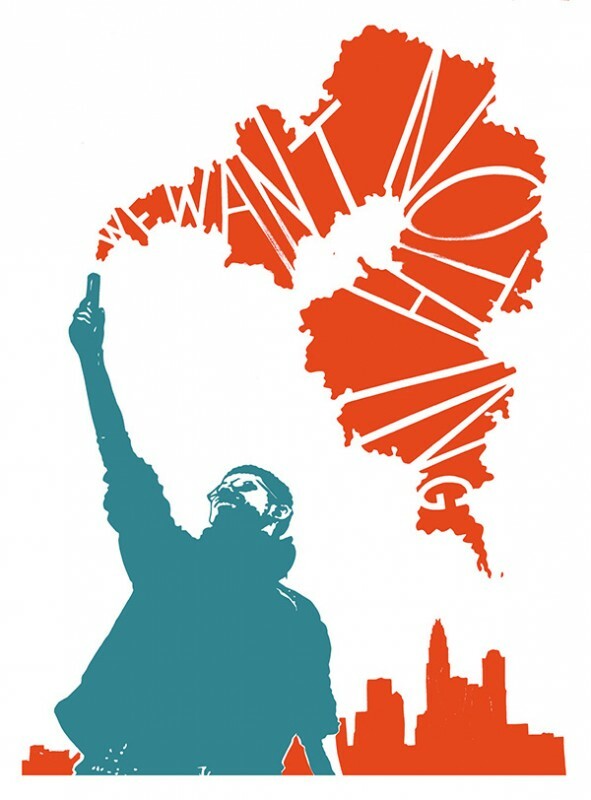 Although it had begun to be an issue before, the Attica rebellion in 1971 awoke the American public to the fact that their were serious problems in the prison system, and a slew of both scholarship and sensational writing followed, including a series of reports like the ones to the right and below. 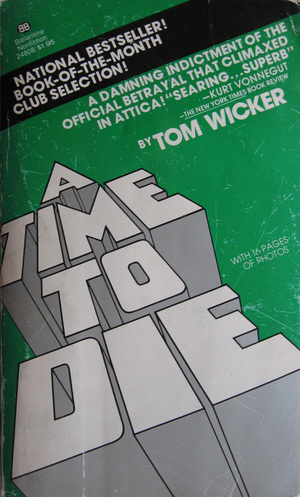 Probably the most well known book about Attica is Tom Wicker’s A Time to Die. Wicker, a reporter for The New York Times, was asked by the prisoners to be a mediator, and got a first hand look at the riot and state’s reaction to it. 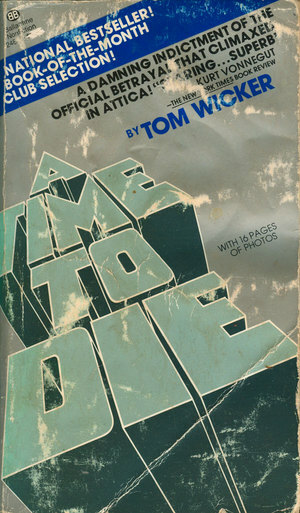 This book was a bestseller, and reproduced in a number of hardbacks, pocketbooks and trade paperback editions. 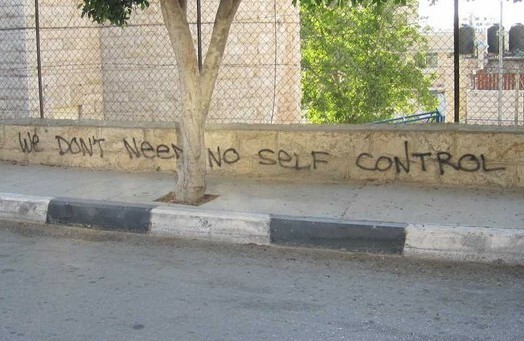 Unfortunately none of them are that exciting! The British hardback (to the right) might have the nicest type-treatment, but it looks like it was published in 1956, not 1976. 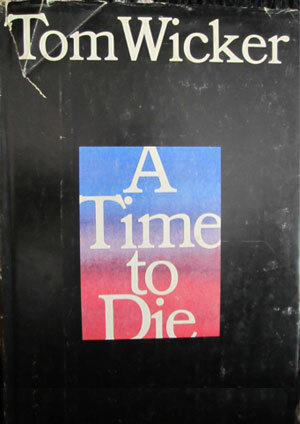 The U.S. hardback isn’t worth much comment, The title crammed in the colored window is a bit visually confusing: if the black is the prison, and the color outside the window, is a time to die outside the prison as well? 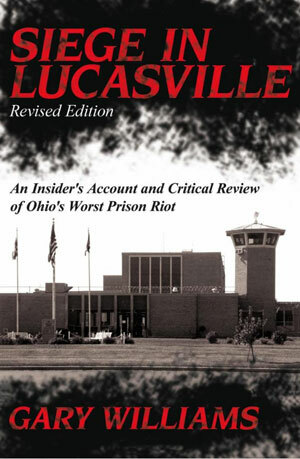 I haven’t read William’s book, but I have read Lynd’s, and it’s a great narrative and analysis of what happened at Lucasville. The original edition (to the left) came out in 2004 and I remember at the time being disappointed by the cover (which was designed by Robin West Morrow/Ox and Company). The photo in the background is one of the most important images of the riot, when the prisoner’s hung their demands out a window on a sheet, but the brown photocopy effect on it makes the cover look washed out, and the clip-art-ish barbed wire laid on top isn’t very convincing. Without any color, the cover instantly fades from memory. 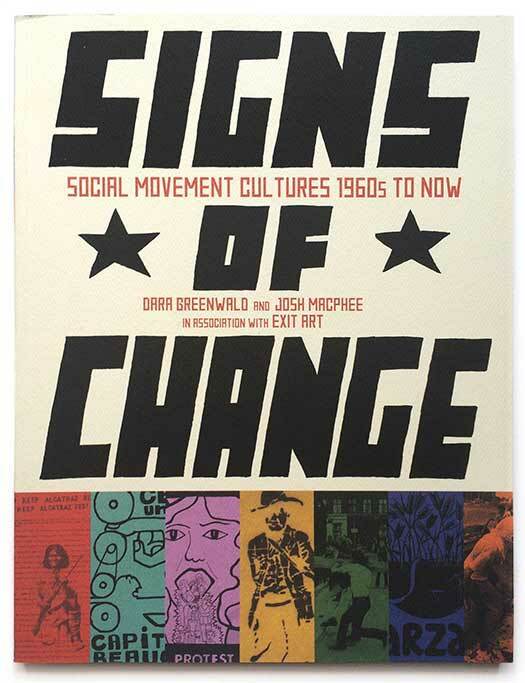 When I was asked to do the cover for the new edition of the book, I decided I wanted to honor that timeless image of prisoner communication via the sheet out the window, but make it really pop, so I stripped everything other than the sheet and the wall away, and hand drew the image, instead of relying on poor quality photos. 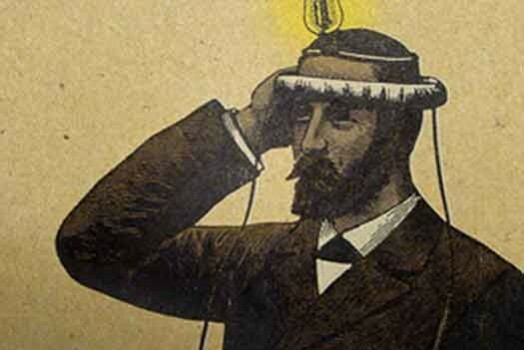 I think it works, hopefully other people will too, because the book is a good read! 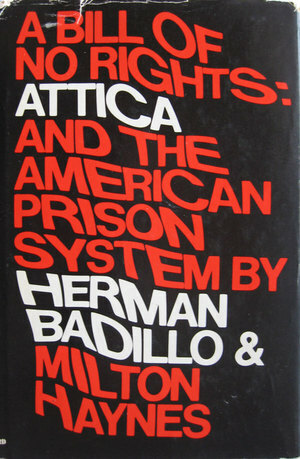 Herman Badillo & Milton Haynes, A Bill of No Rights: Attica and the American Prison System (New York: Outerbridge & Lazard, 1972). 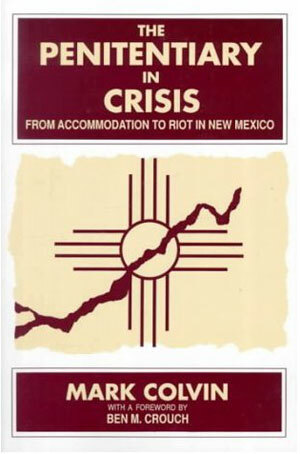 Mark Colvin, The Penitentiary in Crisis: From Accommodation to Riot in New Mexico (Albany: State University of New York Press, 1992). 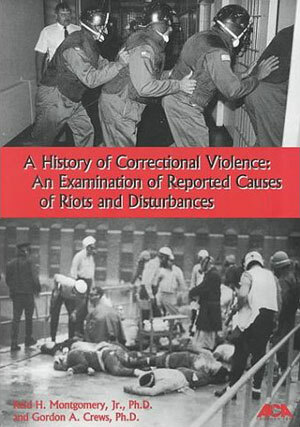 G. Hirliman, The Hate Factory: A First-Hand Account of the 1980 Riot at the Penitentiary of New Mexico (iUniverse, Inc., 2005). 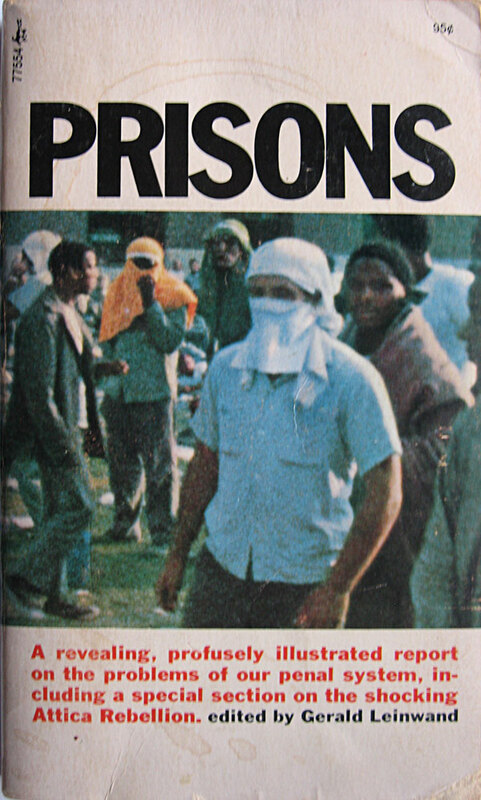 Gerald Leinwand, ed., Prisons (New York: Pocket Books, 1972). 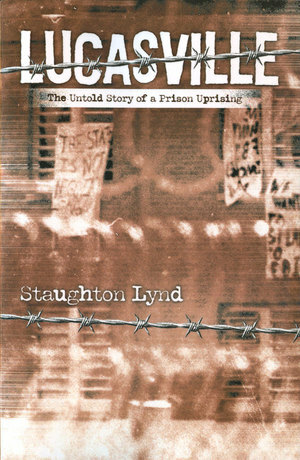 Staighton Lynd, Lucasville: The Untold Story of a Prison Uprising (Philadelphia: Temple University Press, 2011). 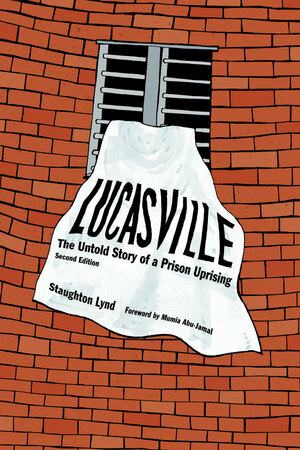 Staighton Lynd, Lucasville: The Untold Story of a Prison Uprising (Oakland: PM Press, 2011). 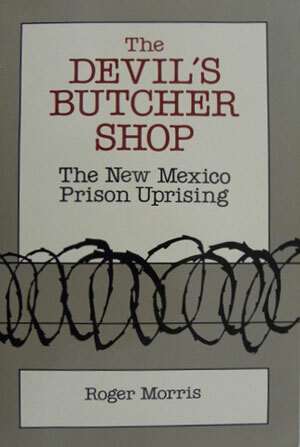 Roger Morris, The Devil’s Butcher Shop: The New Mexico Prison Uprising (Albequerque: University of New Mexico Press, 1988). 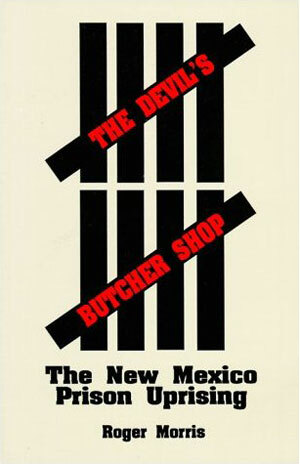 Roger Morris, The Devil’s Butcher Shop: The New Mexico Prison Uprising (Albequerque: University of New Mexico Press, 1990/2nd printing). 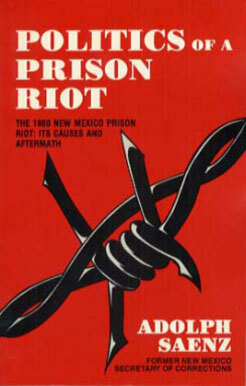 Adolph Saenz, The Politics of a Prison Riot: The 1980 New Mexico Prison Riot—Its Causes and Aftermath (Rhombus Publishing Co., 1986). 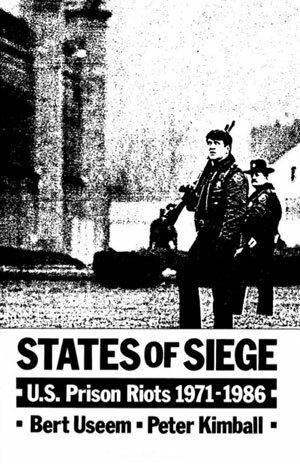 Bert Useem & Peter Kimball, States of Siege: U.S. Prison Riots, 1971-1986 (Oxford University Press, 1991). , I decided I wanted to honor that timeless image of prisoner communication via the sheet out the window.